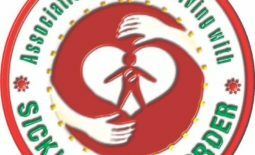 The Catholic bishop of Awka Diocese has made history by taken a big step in creating a department for persons living with sickle cell disorder. Bishop Ezeokafor marked this move by appointing Rev. Fr. Barr. Obiora Okeke as the chaplain for the sickle cell victims. Receiving the confirmation letter yesterday, Aisha Edward, the coordinator of the Association of Persons Living with Sickle Cell Disorder expressed joy at the news, which she described as heart-warming for members of the association who have long sought for this favour being granted to them by the Bishop. Aisha said that having a department in the church means that their cause has been taken seriously, and that the church has showed that they are leading the fight against the disorder. 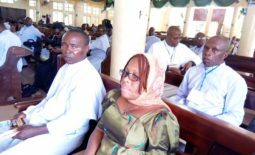 She thanked Bishop Ezeokafor for the gesture, which she described as the first of its kind, as it has never been heard of anywhere in the country that a department was created for persons living with sickle cell disorder, and the bishop has championed a fight that would soon cut across all the dioceses in the country. 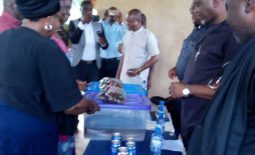 The coordinator, described Bishop Ezeokafor as a clergy with difference, as she highlighted the numerous goodwill her association has received from the Bishop who was the first to make the financial donation that enabled the association procure her first set of first aid boxes. She recounted that the bishop always extended his kindness and magnanimity to the association by providing her with welfare packages during any festive period, and ensuring that they have access to priests for psychological and spiritual guidance. Reacting to the appointment, Fr. 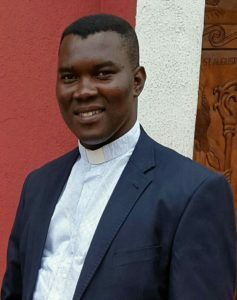 Okeke affirmed the appointment, saying that a call like this was in line with their vocation as priests and very essential as a Christian, as one of their responsibilities of priesthood is to reach out to the sick, oppressed and needy in the society. He continued that Christianity is synonymous to charity. CHARITY and the works of charity is obligatory for all Christians. He affirmed his acceptance and promise to do his best in continuing and strengthening the sensitization campaign. It would be noted that Fr. Obiora a known human right activist, and legal practitioner, who doubles as the Principal of Austica Memorial College Nanka has before his recent appointment as the APLSCD Chaplain extended his support to the Association as he has always provided them with Interim Mobility to enable her foster the strength of her sensitization campaign.